Occupying only 6 SRU and weighing just 12 pounds, the V-R171P-AFHD features our Completely Digital TFT-Megapixel™ system and can display high definition images on the LCD/TFT screen with 2.95 million pixels. Analog signals are digitized using an advanced 10 bit process with over sampling and adaptive 5 line comb filter. Images are scaled to fit on screen in the highest resolution using a state of the art LSI that incorporates adaptive pixel interpolation and precision Gamma correction. 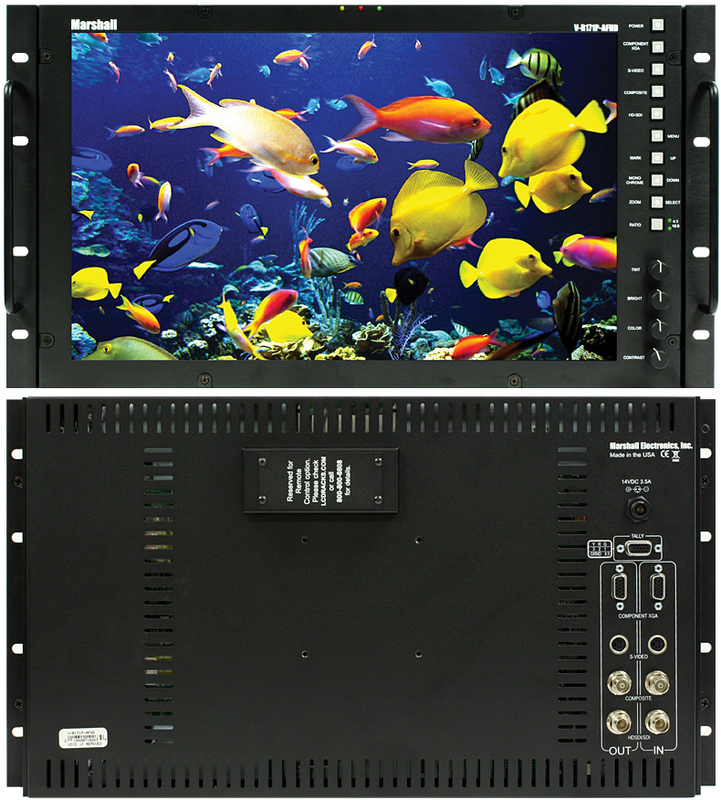 Additional features include, Pixel-to-Pixel™ native resolution scaling, Color Temperature adjustment, Motion Compensation, setup memory, Frame Marker Overlays, Blue Gun, and direct access for all adjustment and selection functions The V-R171P-AFHD has been designed for field and studio applications with a rugged, all metal enclosure. V-ST17 Occupying only 6 RU and weighing just 12 pounds, the V-R171P-AFHD has a high resolution LCD display with 2.95 million pixels. It includes our Universal Input configuration and does not require any adapter boxes or expensive options. 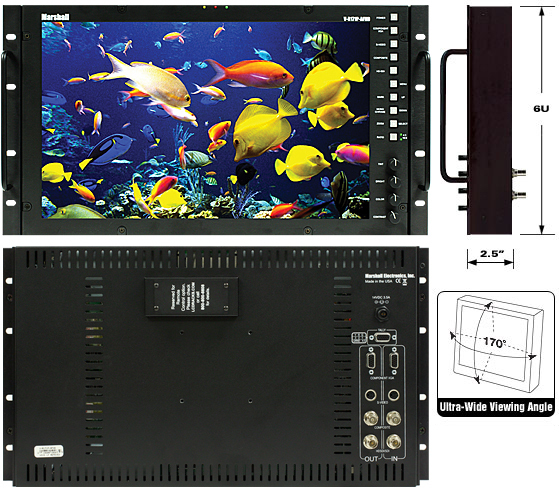 Standard inputs include active loop-through on each connection for HD-SDI/SDI, Y/C, and composite video with PAL/NTSC automatic recognition. There is also a multiformat connector for HD or SD analog component signals. For computer graphic applications, this unit also has a scalable XGA input. Additional features include setup memory, Zoom function, 6 Frame Marker Overlays and direct access for adjustment and selection functions. With an optional VESA adapter, this monitor can be wall or ceiling mounted. Instruction manual and universal power supply are included.